I often speak of standing out in your marketing of your business. How you have to get noticed. After all, no good have a business that no-one needing your product or service knows about. I’ve never been a big fan of letterbox leaflet drops. That’s because what happens is you pay a company $X to distribute your leaflets/brochures/catalogues/flyers into a certain area. To make it worth their while the distribution company bundles up all of the leaflets for that area and delivers them all at once. We’ll often check our letterbox and find 20 flyers wrapped together. That’s not so great because even if they do get looked at (unlikely), your leaflet is just 1 of 20 others. It’s just clutter within the clutter. Yesterday a guy went along the street and delivered his own leaflets to letterboxes promoting his driveway cleaning business. But he did something smart. He didn’t put the leaflets in the letterbox. 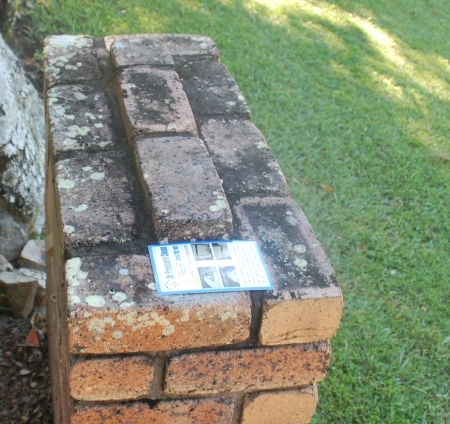 He sat them on top of the letterbox – that’s my letterbox below. 100% guaranteed to be seen. 100% guaranteed to beat the clutter. And free to beat the competition (the 20 other leaflets clogged up inside the letterbox). The leaflets in letterboxes reminds me a lot of web sites. There’s so much competition out there that it’s imperative that you stand out. The magic is in the marketing.